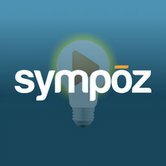 Sympoz (www.Sympoz.com) has launched a new Internet learning platform that directly challenges current online education approaches. Sympoz (SIM-POSE), the brainchild of five Internet veterans (eBay, Yahoo!, ServiceMagic), started with an idea, wrapped in an entrepreneurial dream: That people are ready for a learning experience that captures the best elements of a great classroom and the convenience of online education. The innovative solution overcomes the sub-standard experience of current online learning, which is riddled by a lack of interaction, questionable production quality, and teachers who turn learners into snoozers. “Most online solutions to education are essentially PowerPoint presentations on steroids,” says Josh Scott, vice president, product. Sympoz has changed the game by introducing an interactive and social element to online learning through their Time Index Technology. The technology enables students to start discussions or ask questions at any time during a video lecture. It tags their question to the exact time in the video, broadening the interaction between the participants, even though they might not be viewing the class simultaneously. The platform also allows instructors to employ the Socratic Teaching Method and insert questions into lectures as a means to facilitate student engagement. “Great teachers, engaged peers, and robust subject matter combine to drive optimal learning outcomes. Our platform facilitates this interplay, and the courses are highly engaging,” says John Levisay, CEO. With Sympoz’s 24/7 approach to instruction, students can access great courses anywhere, at any time, whether they live in Butte, Mont. or Manhattan. The technology remembers right where you left off and alerts you when an instructor or fellow student has responded to your questions or comments. “We sought the best instructors, with national reputations in their field, who had a track record of teaching the subject matter in a fresh, vigorous way,” says Levisay. Sympoz is initially focused on attracting lifelong learners with courses that include personal finance, cooking, wine, parenting, automotive history, international security, and various academic topics. Fees per course range from $39 to $129 with courses averaging 10, 30-minute sessions. “We started this company because all of us found ourselves wanting to take classes but never able to follow through because, as is the case for most adults, committing to show up in a classroom at a specific time is simply impossible to fit into a busy schedule. “While we found some online offerings that provided the scheduling flexibility we sought, this flexibility always came at the cost of a significantly inferior educational experience,” says Andrew Rogers, chief marketing officer. “At Sympoz, we believe that we are on the way to delivering what everyone has been seeking: a memorable, refreshing learning experience where people engage and look forward to their class, whether it’s an academic, life-stage or hobbyist subject,” says John Levisay, CEO.